I’ve been thinking A LOT about biblical church membership this past year. More specifically, I’ve been trying to come up with a good rule of thumb for when it is okay for a church member to leave their church and go find a new one. Unfortunately, my church has been in a bit of an upheaval for some time. To sum up why, our pastor left for the mission field 18 months ago. We had guest preachers for several months before hiring a new pastor a year ago. And, shocker, the new guy isn’t the old guy. I suppose because I have a small leadership role in my church (lay Bible study teacher), or maybe because I’m always in the wrong places at the wrong times, people have come to me with their complaints about all the changes. And I have listened until I am blue in the face (listening really takes it out of me, apparently) about all the reasons people are upset. And my strategy for helping folks has been to boil things down to this one question: is the Gospel still being preached? Invariably, they must answer yes. Our new pastor is very clear from the pulpit every Sunday that Jesus is the Son of God, He died for our sins, and He is the only way to Heaven. So, in my book, because the Gospel is still being taught, any other changes, no matter how small or large, are not reasons to leave our church. But a lot of my friends are still hung up on their personal preferences not being met. Well, our friend Paul, a staunch proponent of unity in the body, says this, “Do nothing out of selfish ambition or vain conceit. Rather, in humility value others above yourselves, not looking to your own interests but each of you to the interests of the others,” (Philippians 2:3-4). It is only looking to your own interests and ignoring the interests of others to leave your church over personal preferences. Why? Because the church is a body, and each member is a vital part of that body (1 Corinthians 12). When one leaves for selfish reasons, there is a void, and it HURTS THE REMAINING MEMBERS! Paul goes on to tell believers, “In your relationships with one another, have the same mindset as Christ Jesus: Who, being in very nature God, did not consider equality with God something to be used to his own advantage; rather, he made himself nothing by taking the very nature of a servant, being made in human likeness,” (Philippians 2:5-7). Jesus was never concerned about titles. He wasn’t worried about being rightfully honored. He didn’t focus on Himself or using His abilities to further His own agenda. He made Himself nothing, humbly serving others. We church members would do well to do the same. Being a part of a church is not about you. It’s about others. And when you go to church with this question in the front of your mind – How can I serve someone here today? – then you get what Paul was talking about! Then you are living what Jesus modeled! 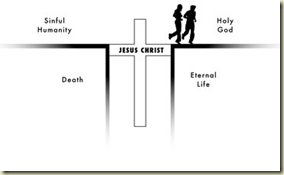 And – bonus – when you approach church this way, you will be more fulfilled. If you are discontent with your church, ask God to help you change your priorities from yourself to His Kingdom. Look for ways to serve others so they will see Jesus in you and be inspired to move closer to Him themselves.